Also known as Wee Errigal. 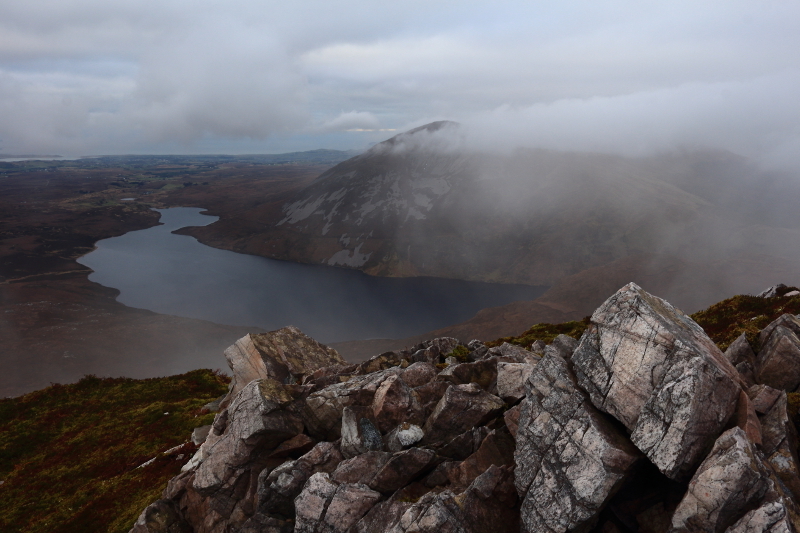 The ucht referred to in Mac Uchta is Errigal itself. Mackoght is the 403rd highest place in Ireland. Picture from Aidy : Aghla More looking volcanic with streaming clouds. Picture: Aghla More looking volcanic with streaming clouds.